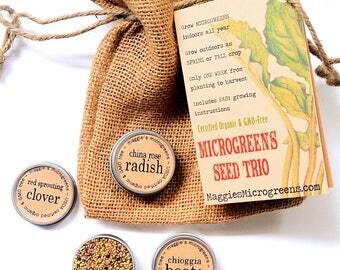 This DIY kit is great way to jump-start a whole indoor garden of brassica microgreens. 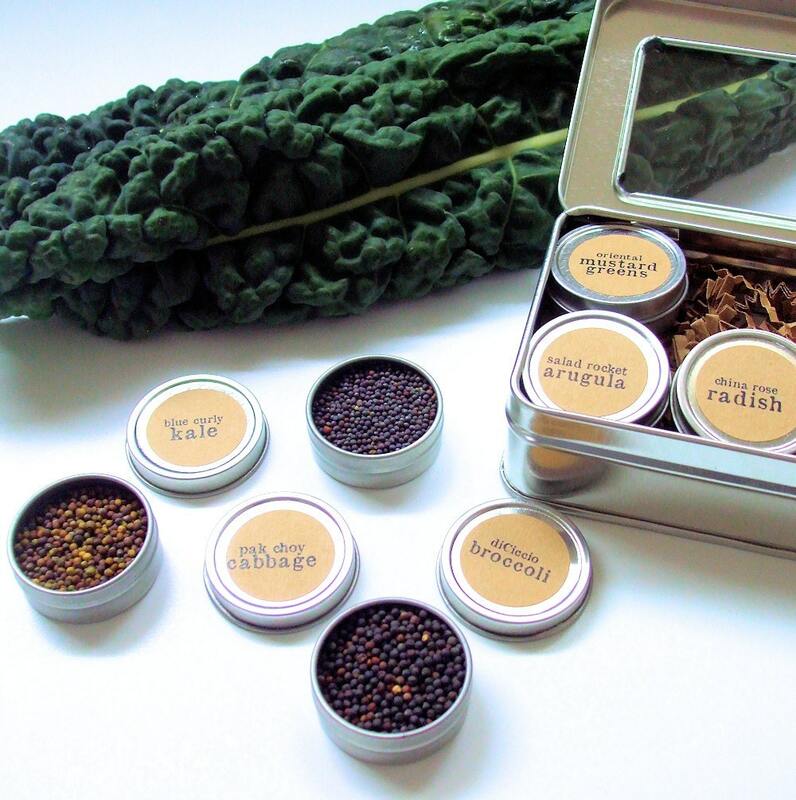 It includes 6 different types of certified organic brassica seeds, in 6 small airtight tins within a larger hinged-lid tin windowed gift box, along with super-easy, detailed growing instructions. Brassicas - like broccoli, kale and cabbages - are among the healthiest vegetables in the world, superstar super-foods. But too many of us have bad childhood memories of brassicas that were sadly overcooked & sulfurous, ugh, scarred for life. 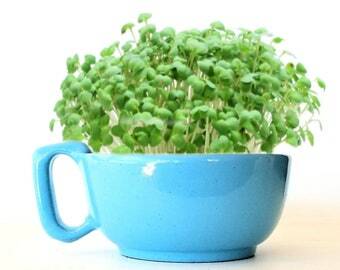 News flash: fresh, raw brassicas grown and eaten as *microgreens* are an entirely different experience! The flavor is mild and bright, not bitter. And they are a nutritional powerhouse, with up to 40 times the nutrient density of the mature greens! Other brassica seeds I offer are Southern Mustard Greens and Daikon Radish. If you'd like to customize your assortment, just let me know in Notes to Seller. It's a great gourmet gift for beginning or experienced gardeners, the perfect gift for vegans, and a fun project for kids. I include one half-ounce / 8mL of seeds in each tin, enough to successfully raise 2 to 3 generous crops of each type in a teacup or pocket garden indoors - whether one of my DIY planter kits, or teacup-sized planters of your own. This amounts to 4 to 6 months of fresh greens! > I ship seeds to any US or Canadian address via USPS First Class mail. Each seedling you cut will taste amazingly like its grown-up counterpart: radish microgreens are peppery like a radish, cilantro and dill are tangy, and broccoli microgreens taste like, well, broccoli! Super cute packaging and arrived quickly! I sent this as a gift and my friend loved it and said the holiday gift wrap was adorable. Thank you!